The term “Michelin Star” is an indicator of fine dining quality and restaurants around the world proudly promote their Michelin Star status, once they achieve this status. There was even a story where celebrity chef, Gordon Ramsay was said to have cried when the Michelin Guide stripped the stars from his New York restaurant. 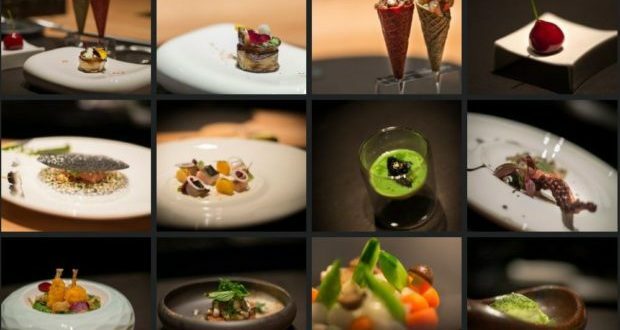 Taian Table, a six-month old restaurant located in Shanghai, China, recently got a Michelin star, when Shanghai’s first Michelin Guide came out on Wednesday of last week. However, the celebration was cut short because China’s Market Supervision and Management Bureau noticed that there was not supposed to be a restaurant there. Owners, chef Stefan Stiller and his business partner, Frank Ji (Ji Wen Yuan). reportedly applied for the proper business and catering licenses, but were allegedly denied because the restaurant was located in a residential building. Unknowingly, the restaurant just kept operating even with the absence of a license. Last Thursday, the restaurant was shut down for operating without a license by China’s Market Supervision and Management Bureau. Stiller and Ji announced on Taian Table‘s website that the restaurant was initially started as a small, private place to entertain friends, and it was never their intention to violate any laws. They say the restaurant will move to a new location and reopen with the proper licenses. Michelin, the tire company launched its first guidebook to encourage road tripping in France in 1900. Twenty six years later, Michelin started sending out anonymous restaurant reviewers to try restaurants. The anonymous reviewers generally are very passionate about food, have a good eye for detail, and have a great taste memory to recall and compare types of foods. A Michelin star is a huge honor and prize for any restaurant, but sometimes the additional attention shines a light on something the operators would rather keep quiet, like the fact that the restaurant is operating without a license.